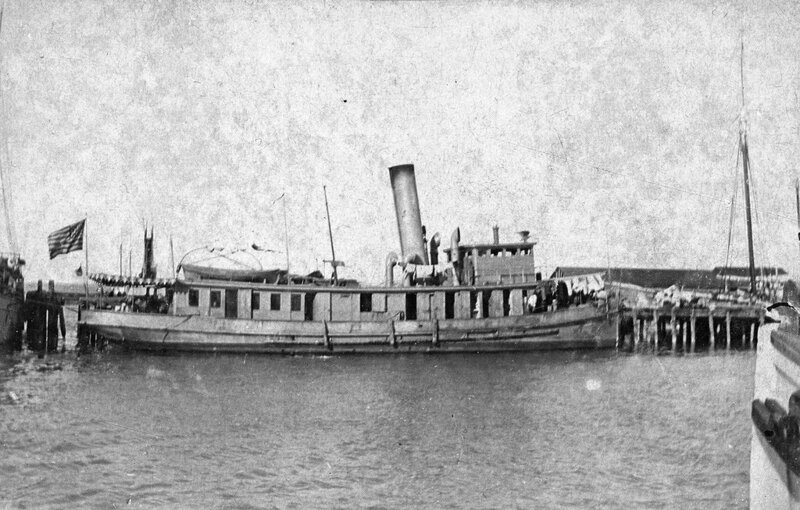 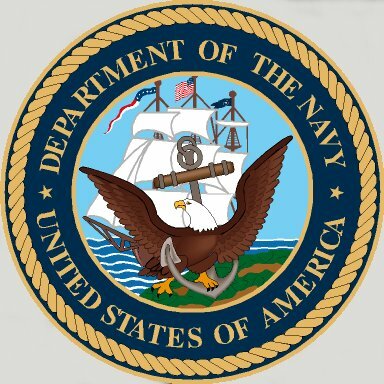 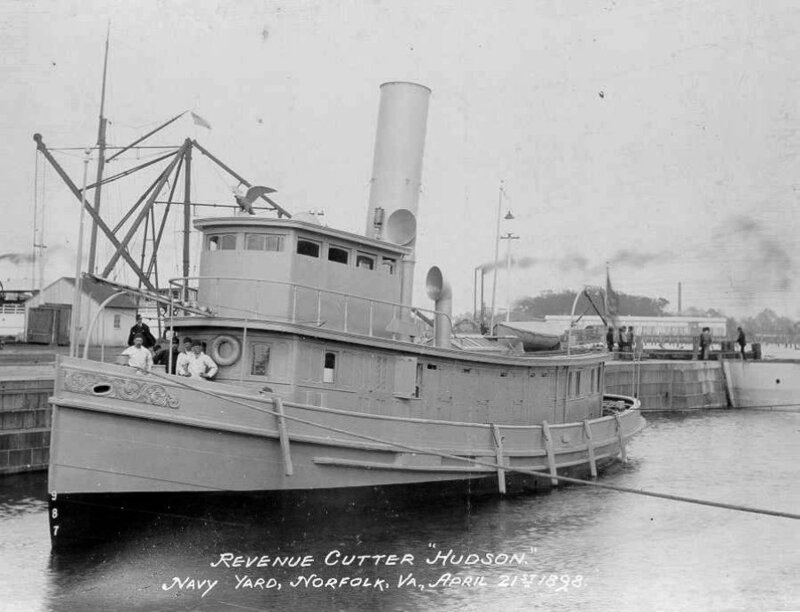 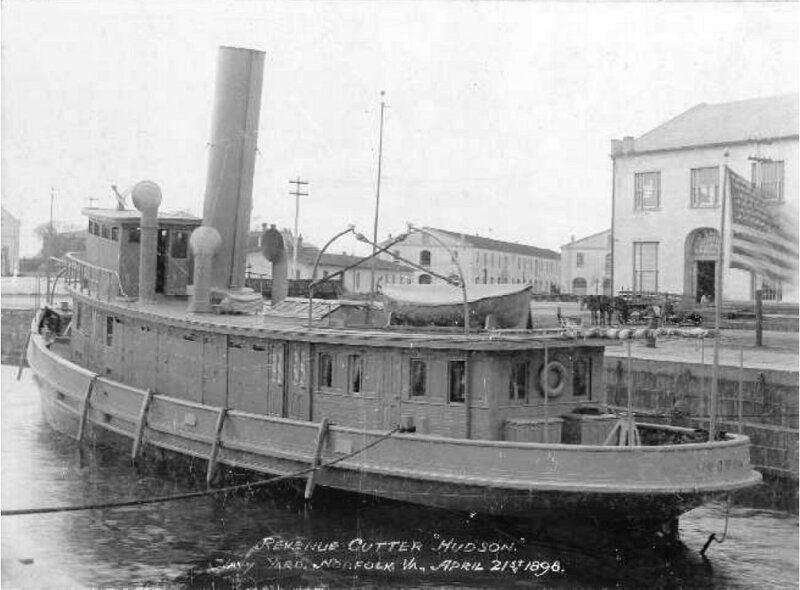 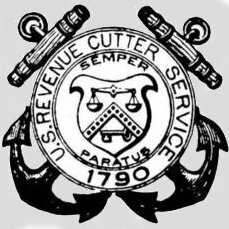 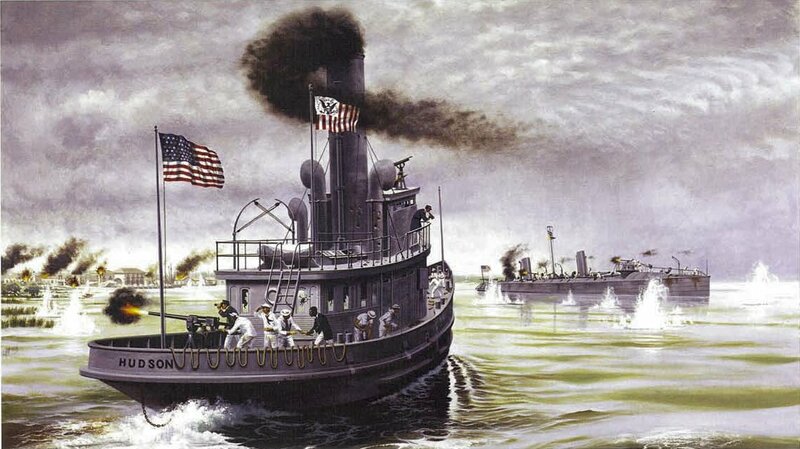 Hudson served the Revenue Cutter Service, the U. S. Navy and the Coast Guard. 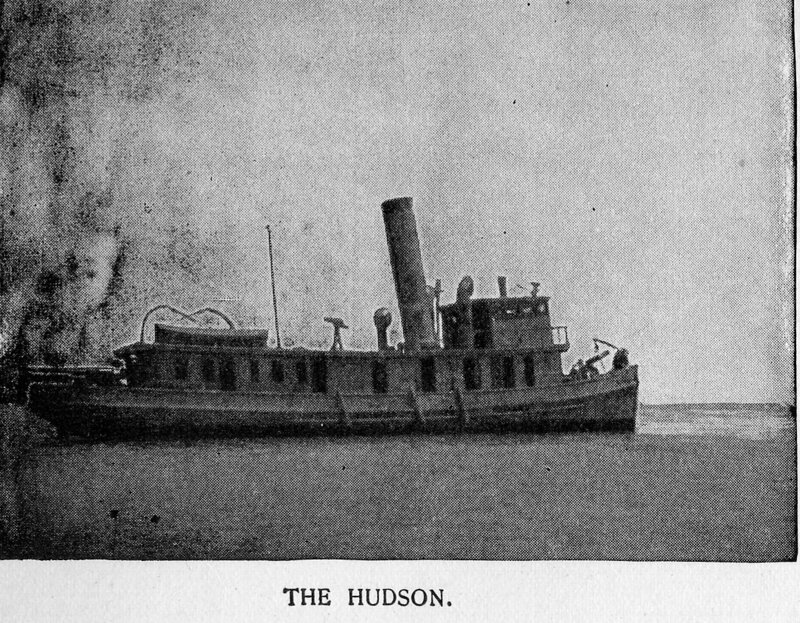 Propulsion: One triple-expansion reciprocating steam engine, one shaft. 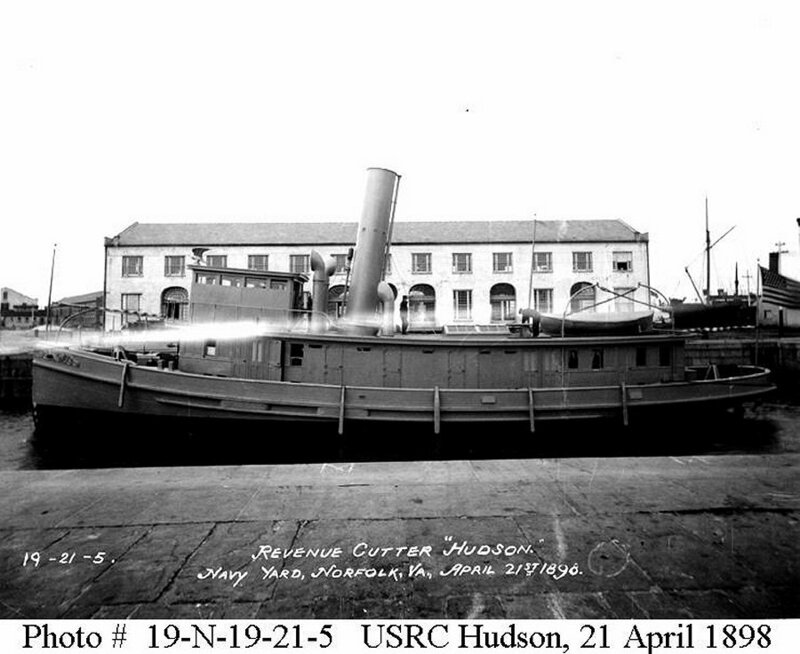 101k At the Norfolk Navy Yard, Portsmouth, Virginia, 21 April 1898 being outfitted for service in the Spanish-American War, which included adding additional armament, armor plating, and a new coat of "war paint"